This page is designed to answer frequently asked questions and help you to resolve problems you may have with using the Blank Wall Scrolls site, finding products and making purchases from our online store. Who Owns and Operates the Blank Wall Scrolls Website? 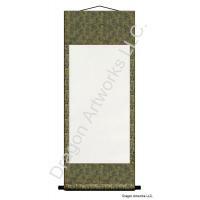 Blank Wall Scrolls is a division of the American company Dragon Artworks LLC., so you can rest assured you are dealing with a legitimate business based in the United States of America. We are a family owned and operated business based in Florida. Blank Wall Scrolls accepts secure Visa, MasterCard, Discover or American Express credit card payments on this website or PayPal Members may choose PayPal Express to pay with any major credit card at PayPal.com. We also accept personal and business checks from our customers in the United States. Blank Wall Scrolls currently offers United States Postal Service shipping services within the United States and to many other countries. UPS shipping is also available to our customers in the United States. Please visit our Shipping & Returns page for detailed information on our shipping and returns policies. The Blank Wall Scrolls website uses industry standard SSL technology to encrypt all personal and financial information you provide during your visit to this site. 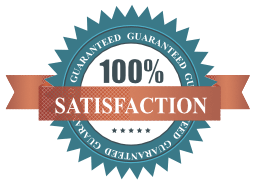 We are so confident that our website is secure that we offer a Safe Shopping Guarantee. You may visit DragonArtworks.net to learn more about Dragon Artworks LLC., the company that owns the Blank Wall Scrolls website and to view a list of all of the websites we currently own and operate.